"Mr. Lemoncello" locked one of his favorite books in a box. We had to solve puzzles and find clues around the room to unlock it. We worked together so well and got the box open with 6 minutes to spare! Our first read aloud chapter book this year is Escape from Mr. Lemoncello's Library. We did our first Design Challenge! 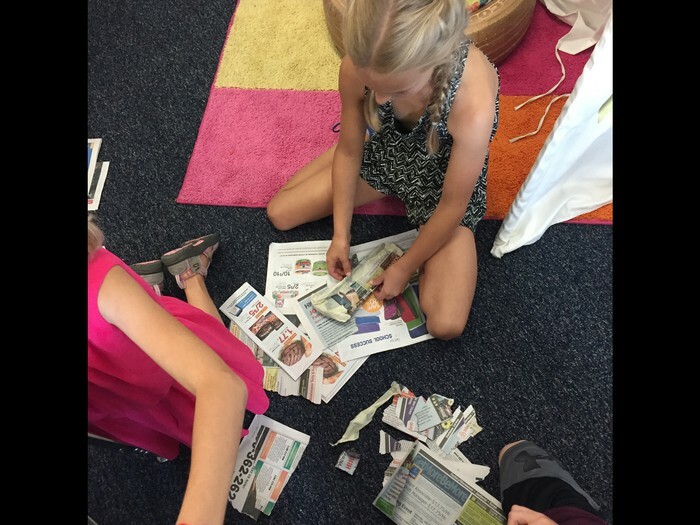 We worked in groups to create a newspaper shoe for Miss Pratt. When we were finished, Miss Pratt modeled them and Mrs. Callahan voted on her favorite. 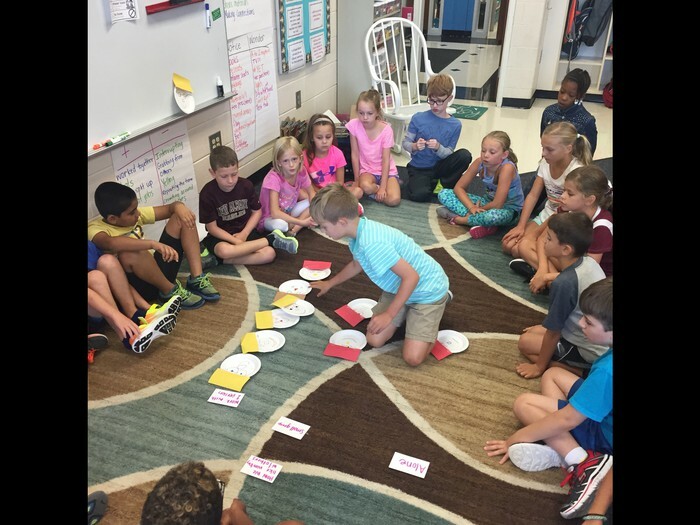 We started discussing our Community of Learners through our first two Bridges math lessons. We made glyphs to represent ourselves and how we feel about math. We put that information in a graph and compared it. Please open the link below to view the Bridges Unit One Family Letter. This will give you more information about our math program and what students will be doing within the first unit. On Monday we will be viewing the Solar Eclipse with glasses purchased from the PTO. There is a letter coming home in your child's Red Homework Folder. If you would like to opt out of your child participating in this activity, please sign the form and return. The red folder coming home tonight is your child's homework folder. This is different from the Thursday Folder. You will want to check the red homework folder every night, as there may things to be signed and returned. Checkout some pictures from our first 2 days! 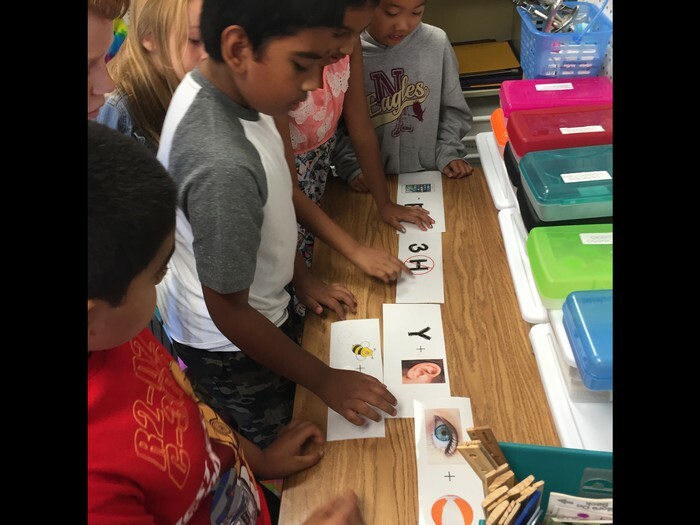 Students solve puzzles to help them open the locked box left by Mr. Lemoncello. 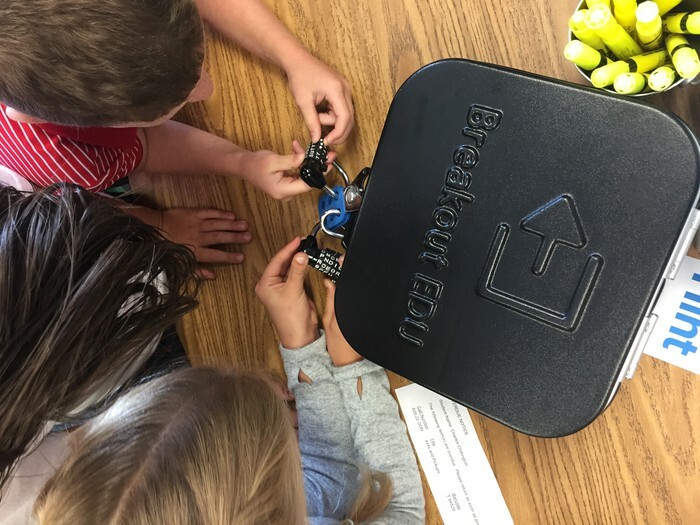 Students opened the Breakout Box with 6 minutes to spare! Our first read aloud, Escape from Mr. Lemoncello's Library was inside! 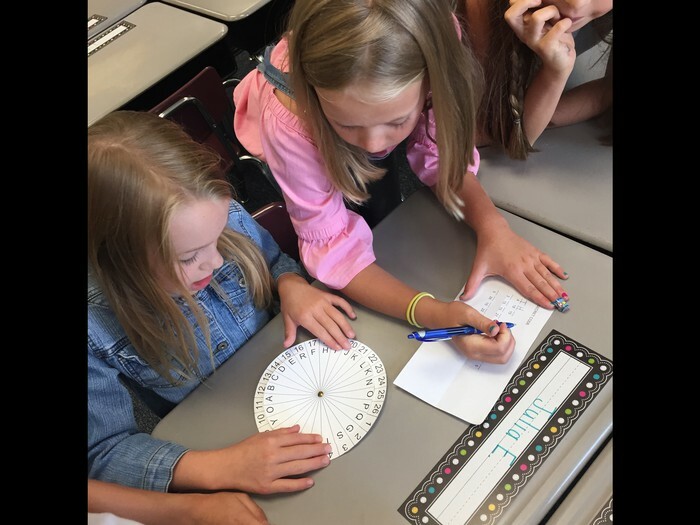 Students work together, using a cipher wheel, to figure out a puzzle. Students sorted our glyphs and later we graphed our results. 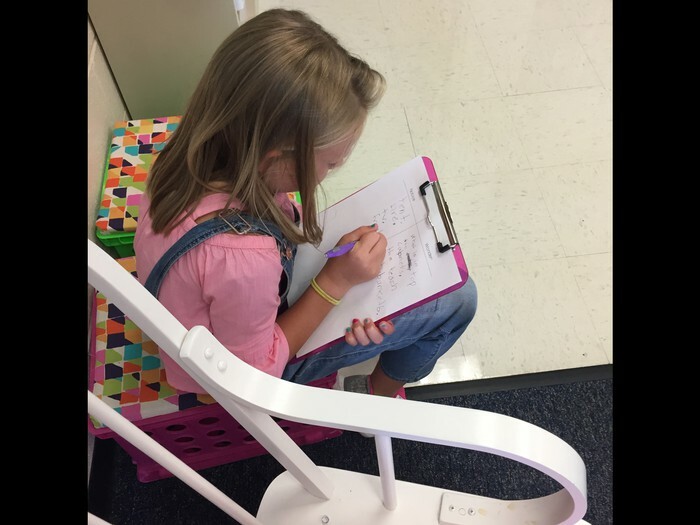 Students did a silent room tour and wrote down what they noticed and wondered about our learning spaces.